The high-end Jeffrey End Table features a cast aluminum tulip-inspired base with a glossy white lacquer finish. 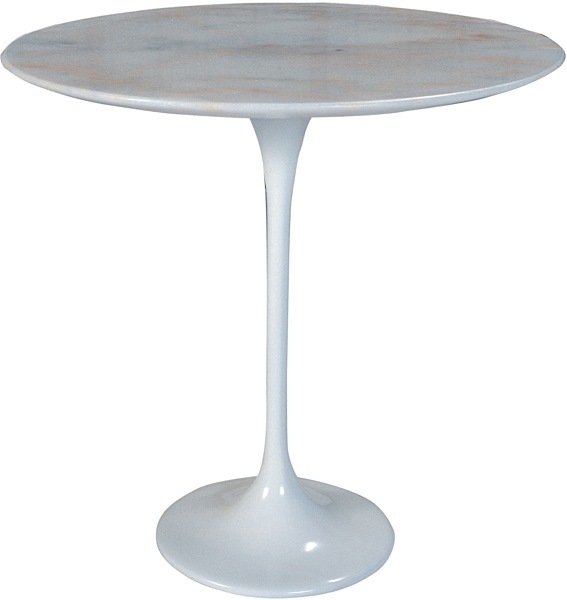 Jeffrey's table top is offered in two mid-Century modern finishes: white marble or American walnut. The quality of table is unsurpassed and makes this the perfect addition to your modern home!